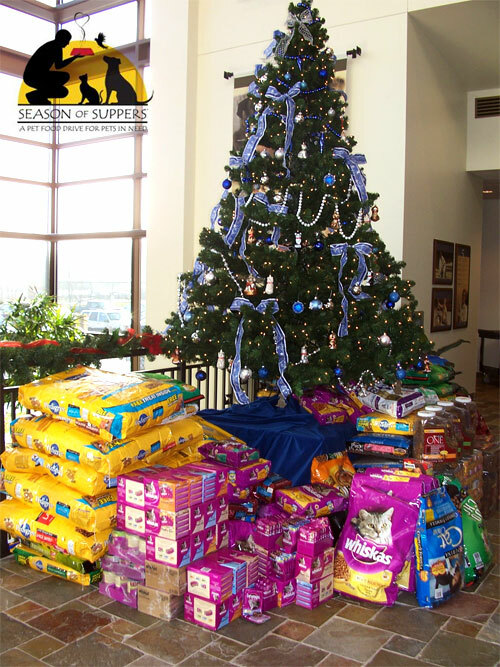 This post was filed under Fundraisers and Drives, Pet Events in the City. Here’s a chance for you to have fine dining with your furry best friend! 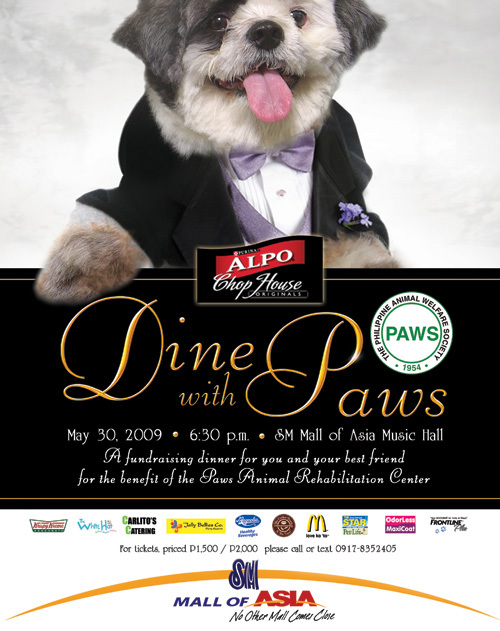 PAWS is holding a charity dinner on May 30, 2009 at the SM Mall of Asia Music Hall. Tickets are Php2,000 for each human bringing a furry date, while Php1,500 for those who will come stag. Proceeds will all go to the PAWS Animal Shelter. One dog per one human only! What to expect: a buffet for dogs, a buffet for humans and performances by celebrities who support PAWS. All proceeds of ticket sales will go to the PAWS Animal Shelter. Please note that tickets won’t be sold at the door on the day of the event. You will need to reserve tickets! For reservation, just text 0917-8352405 or send an email to philpaws (at) yahoo (dot) com with your contact info so a PAWS representative can get in touch with you. Tickets may be picked up at the PAWS Rehabilitation Center in Katipunan or at a designated pick-up point (you need to coordinate with PAWS regarding this first though). This post was filed under Missing Pets, Pet Loss. A fellow dog-lover approached me with a plea for help: her elderly dog, Cocoa, has been missing since March 8. He was wearing a colorful dog tag bearing his name, his owners’ address and their phone number. The owner of Cocoa (koh-koh) shares that through their own investigation, they were able to discern that a vehicle was spotted stealing dogs from homeowners. Weeks after the dog’s disappearance, somebody spotted Cocoa being sold in a pet shop near their village. A friend of the owner posed as a customer to check it out, but unfortunately, he’s been told that Cocoa had already been sold to another buyer for Php10,000. 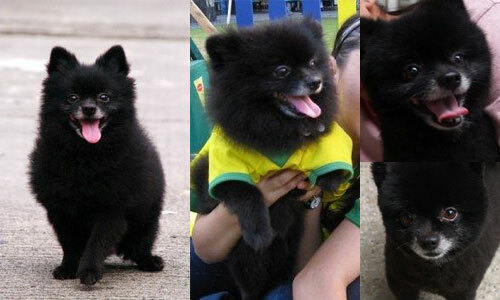 To make matters worse, the 6-year-old Black Pomeranian has a heart condition: he has an enlarged heart, and needs specific care. 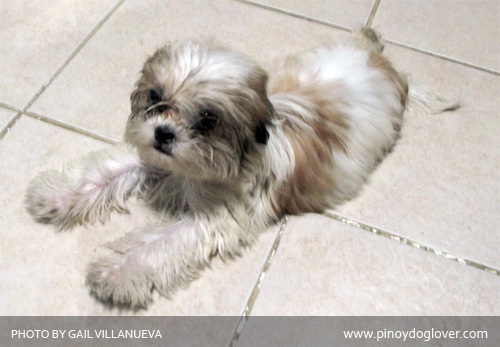 Should you see Cocoa, kindly contact the owner at 0917-847-1989 or bring him to his veterinarian at St. Joseph Veterinary, 185 Aguirre Avenue, BF Homes, Parañaque (red gate). 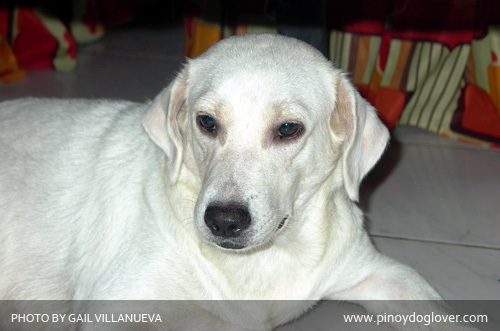 Cocoa was last seen at F. Cruz St., Ph. 3 BF Homes, Parañaque (street of PCJ Parish). The owners offer a reward for his return. * Photos provided by Cocoa’s owners. Come and meet the newest member of our family, Kubrick! Kubrick is named after the default WordPress theme, Kubrick! It’s a really nerdy way of naming our new pup, but my husband wanted to name him with something that’s related to web design and development 😛 We thought of naming him after the WordPress founder, Matt, but then we remembered that Matt Mullenweg will probably return to Manila next year for another WordCamp. It’s going to be quite awkward naming a dog after a person you’ll most likely meet again, so we just settled for “Kubrick,” the name of the popular default theme of our favorite blogging platform. 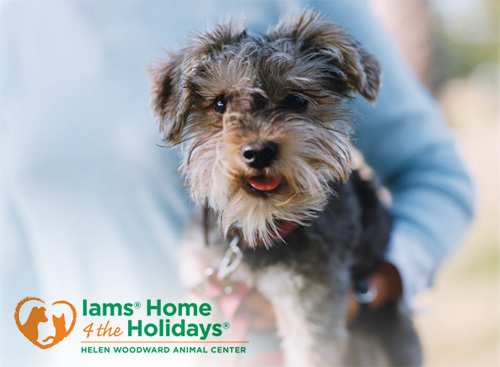 I’m so happy to hear that Iams Home 4 the Holidays exceeded their 1 million adoption mark. As of writing, 1,088,506 pets have been adopted 🙂 I am strongly opposed to euthanasia, and I can’t help but be happy that more than a million pets are saved from this and found themselves a place to call home. Congratulations to all those who have been part of this campaign. Hope you guys have another great adoption year in 2008! Do dogs grieve? I honestly think they do. When I lost Sheero, our human family wasn’t the only one who grieved over her passing. Coal, our black Labrador Retriever, was closest to her. We heard him howling every night for about a week after Sheero’s passing—his way of showing how much he missed her. 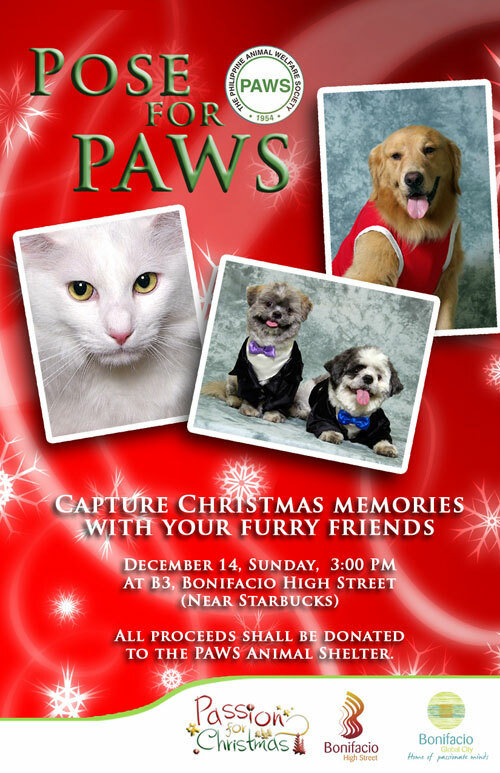 The Philippine Animal Welfare Society (PAWS) will be having a fund-raiser, Pose for PAWS, this coming Sunday, 14 December 2008, at B3, Bonifacio High Street in Taguig. Registration fee is Php500. All proceeds shall be donated to the PAWS Animal Shelter in Quezon City. Humans get to pose for photos with their pets while at the same time helping the shelter animals. Pick-up points for the photos will be announced soon (sorry, I don’t have the info for pick-up points yet). This post was filed under Feature, Travels with Dogs. Every time I visit a new province, I make sure that I’m able to take photos of the native dogs in the area. For some reason, capturing the dogs in their natural environment somehow shows me a glimpse of a province’s culture in one simple photograph. 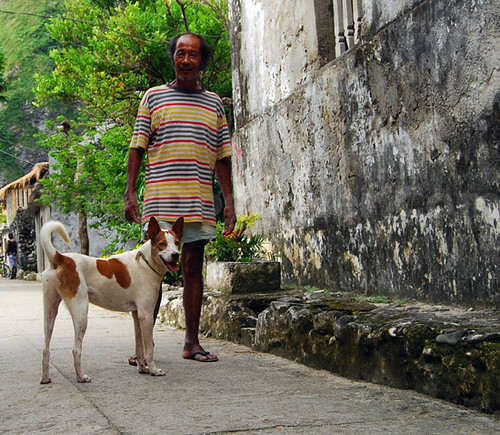 Even in poverty, we still cannot help but have dogs. They’re our loyal best friends, unconditionally keeping us company even when food is so scarce that it’s not even enough to feed us. 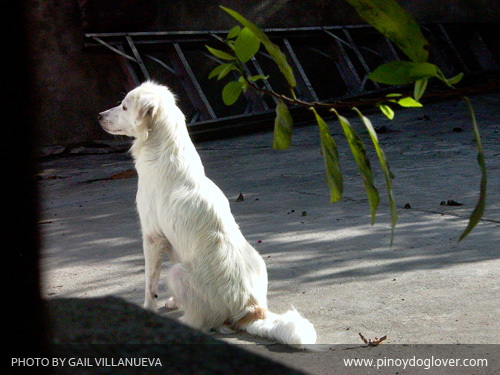 I have traveled even to far-flung provinces here in the Philippines, and I have seen how dogs enriched the lives of even the most underprivileged in the places I visit.